Youth Outdoors Jr. Host Chayanne Hubbard of Urban American Outdoors is keeping the tradition of the Outdoors Lifestyle moving forward. From the time Chayanne was a little baby she has been involved with the outdoors activities and education such as fishing, outdoors safety, hiking, doing a garden and being part of the production of Urban American Outdoors TV show. 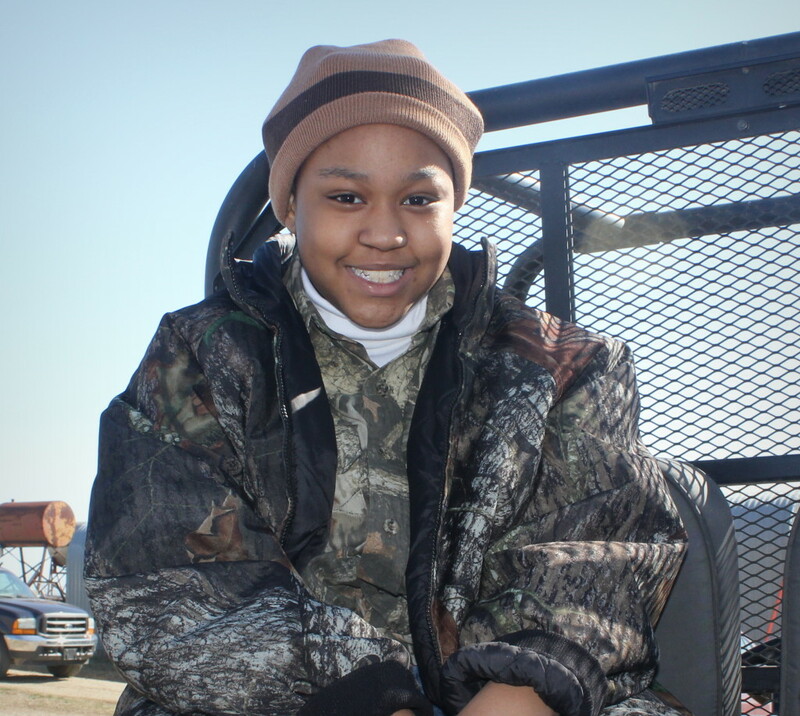 Recently Chayanne embarked upon her first youth urban deer hunt in Kansas. She was very excited to be able to have the opportunity to harvest her first deer but also donate her wild game to feed families who are hungry. Chayanne has been with UAO when we make food donations. She knows that it is very important to always share the harvest. For years she had been getting prepared and trained so that she would be able to handle her business in the field as well as giving back to her community. She has gained knowledge and understanding of the importance of conservation, environmental issues, sustainability and the Natural Resources of our land. One of the big push currently taking place in our country is getting African Americans into the outdoors and reconnecting with nature. We have a healing touch and a direct connection to the earth and a respect that is once again needed for all of us to survive. In previous articles years back we told of the changing of how our food was being processed and the Genetically Modified (GMO) Foods. A lot of these decisions are made by big business, politics and people who work in the outdoor industry. African Americans must be at the table in decision making positions for future discussions. Getting to that table starts today by education, exposure and jobs. Our children need to know that playing outside and getting fresh air is good for them. They also need to know that fresh grown food is good and as families we can make this happen. Urban Gardens is a good start, our kids fishing derby’s is another great place, having curriculum in our grade school science lessons tailored in that direction is also a good beginning. For our high school and college students we already have information for summer jobs that puts them on the fast track for careers in the outdoors industry. All of us cannot be entertainers or star athletes but we can have good solid jobs with decent benefits. We have been having meetings with the US Gov and there are going to be plenty of career opportunities being made available due to the Obama Administrations push to get African Americans into the Outdoors. As we get more information we will be happy to share for we are and have been committed in getting these opportunities to our community.